class="page page-id-4462 page-child parent-pageid-2232 page-template-default custom-background"
Turaida church is one of the oldest wooden churches in Latvia, built in 1750. The church is located on the Church hill, which is an ancient church building place. Archaeological excavations testify that on this hill there have been previously built at least two churches. The Church hill was used as an ancient burial place. In the beginning of the 18th century the Great Northern War had just finished. 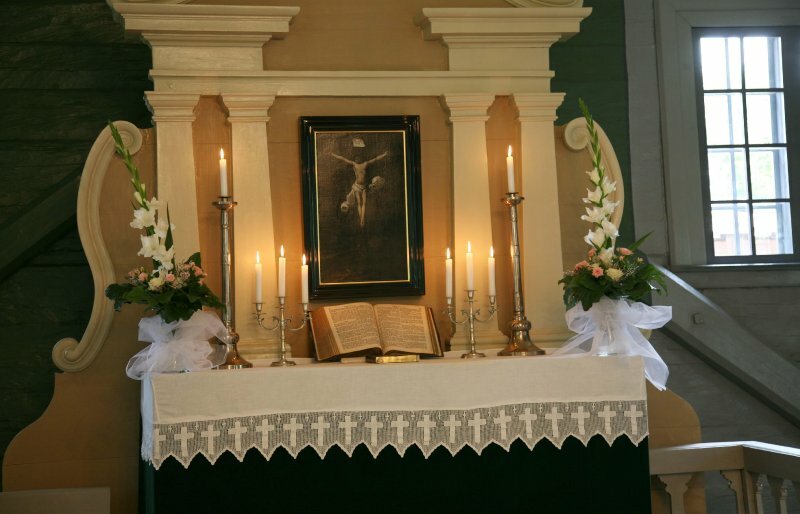 Many churches in Vidzeme region were destroyed. Among them also the old Church of Turaida. When the period of peace began, building of the new church in Turaida estate, under the pastor Daniel Merkel, commenced. The peasants of Turaida were obliged to do corvee – to float logs, to carry sand and stones for stone foundations. Construction work was performed by local craftsmen, observing folk building traditions. On the hill, not far from Turaida castle, there was erected the church from hewed logs, contructed as 17 metres long and 10 metres wide one-room building. 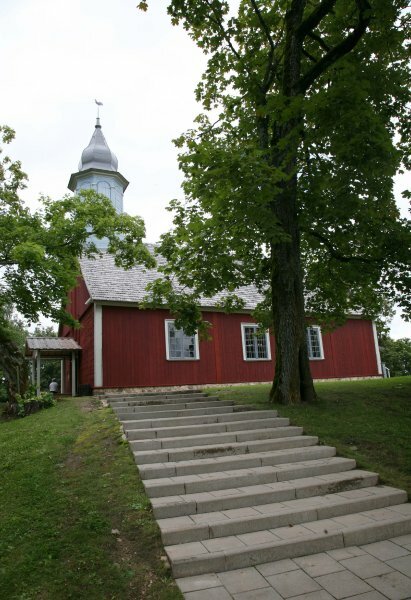 Turaida church was consecrated on January 28, 1750 by Jacob Andrea, the pastor from Lielvārde. Otto Friedrich von Budberg, the owner of Turaida estate, presented to the newly built church pewter candlesticks, which are still decorating the altar of the church. In the course of time Turaida church has not experienced considerable rebuilding and through the centuries it is standing beautiful and sublime in its modesty. The altar with chancel screen, pulpit, balustrade and pews have partially preserved from the original furnishings. The year, cut in the wall behind the altar „ANNO 1751”, most probably indicates the time, when the altar was installed. The altarpiece „Golgotha” is a work of unknown author. The painting, which dates back to the end of the 17th century, beginning of the 18th century is an outstanding masterpiece of that period. The interior of the church, in 1926, was supplemented by a new altarpiece „Jesus in Gethsemane”, painted by unknown author in 1920s after original of H.Hofmann. The altarpiece was presented to Turaida congregation by Stauer family. 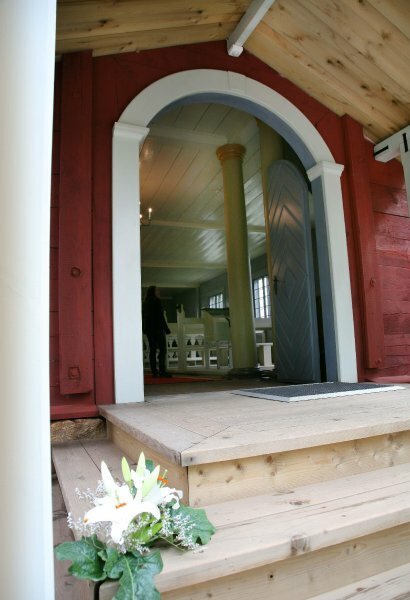 The originality and significance of Turaida wooden church in Latvia`s sacral architecture has been estimated by the State Inspection for Heritage Protection, granting it the status of State Protected Architectural Monument. The climate of Latvia is not favourable to wooden buildings, terefore repair work was occasionally performed also in Turaida church. 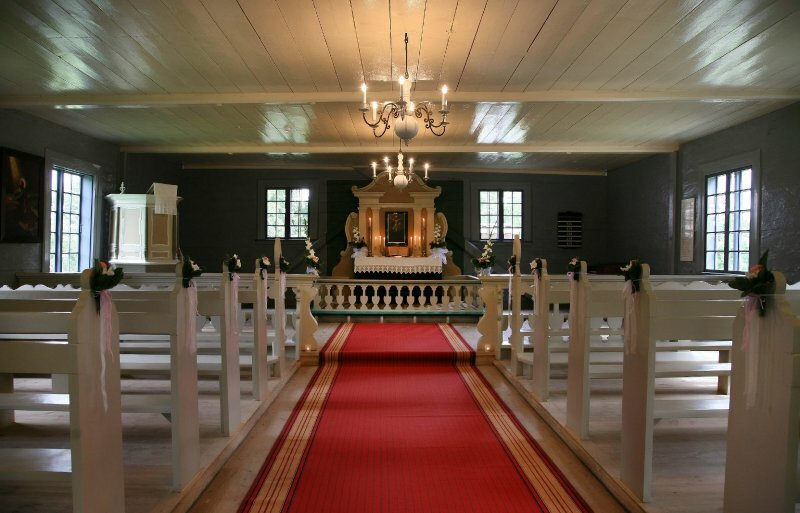 In 1808, at the northern part of the church there was demolished the old sacristy – the room, where the congregation stores vestments and church furnishings and pastors prepare for service. The new sacristy was built on the opposite side of the building at the southern wall and the facade was painted in red ocher. Significant repair work was performed in Turaida church in the first half of the 20th century. Through the initiative of energetic pastor Bertram Feder, in 1926, there was organized celebration of the 175th anniversary of Turaida church, and performed renovation of the church building. After renovation, the church got a new outward appearance: the outer boarded walls were plastered up by using then advanced technology – cement plaster. Turaida church had its own Lēdurga-Turaida congregation, which was established in 1589. The united Lēdurga-Turaida Evangelical Lutheran Congregation existed until 1947. 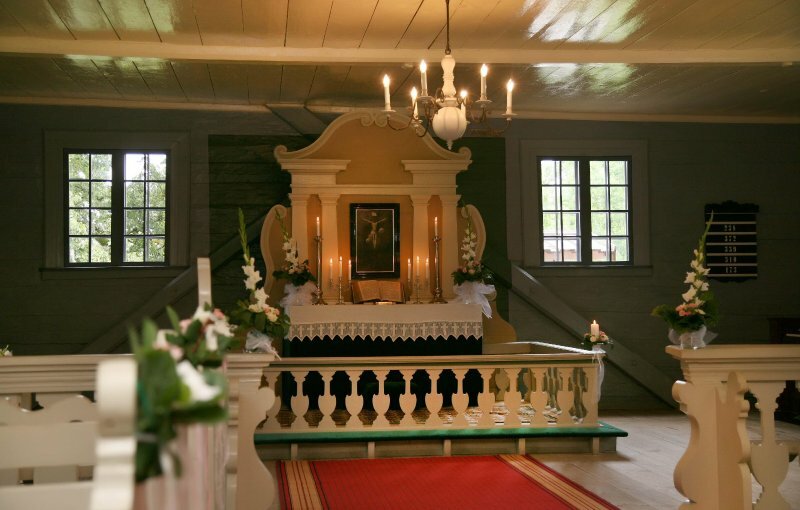 In the Soviet period, in 1965, the maintenance of the church building was taken over by Sigulda local history museum. From 1969 until 1974 there was carried out archaeological and architectonic investigation and restoration of Turaida church. 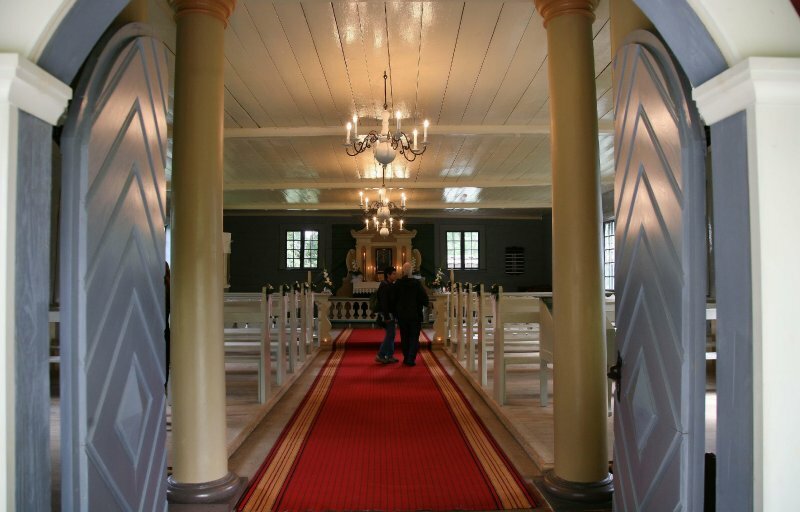 Historical materials about the church were investigated in the Latvian State Historical Archives as well as organized scientific research expeditions to Turaida and Lēdurga area. 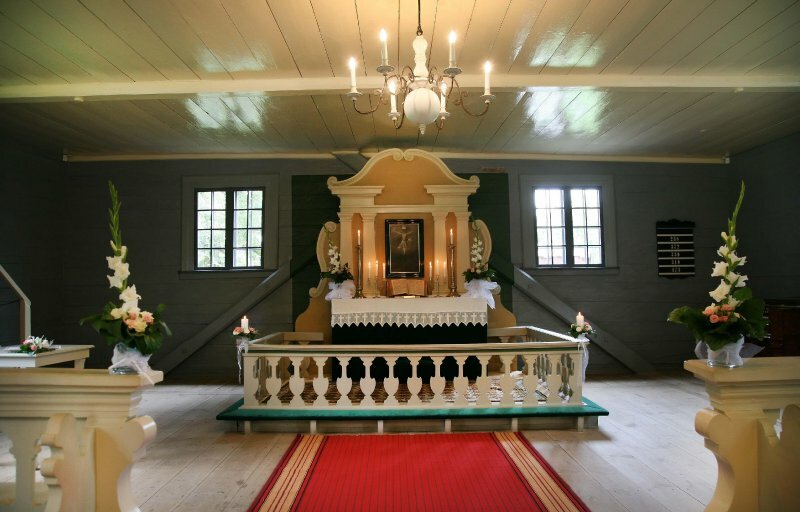 On the basis of the obtained testimonies and objects, in 1974, there was installed the exhibition in the church about the history of Turaida Church and Church hill. 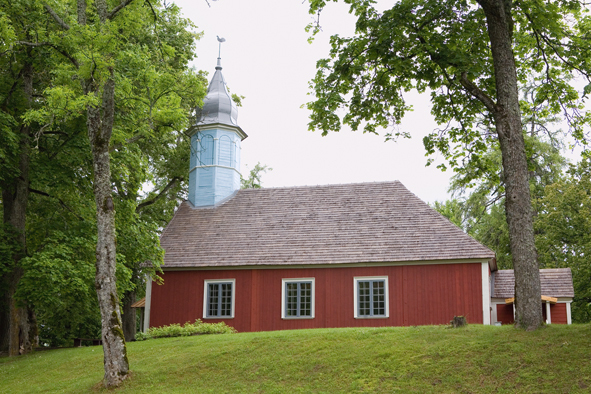 Nowadays Turaida church is located within territory of Specially Protected Cultural Monument – Turaida Museum Reserve. The church is working – the Turaida Evangelic Lutheran Congregation was renewed on December 26, 1991. To preserve this significant monument of wooden architecture for future generations, in 2006, there was carried out artistically architectonic investigation of the church. 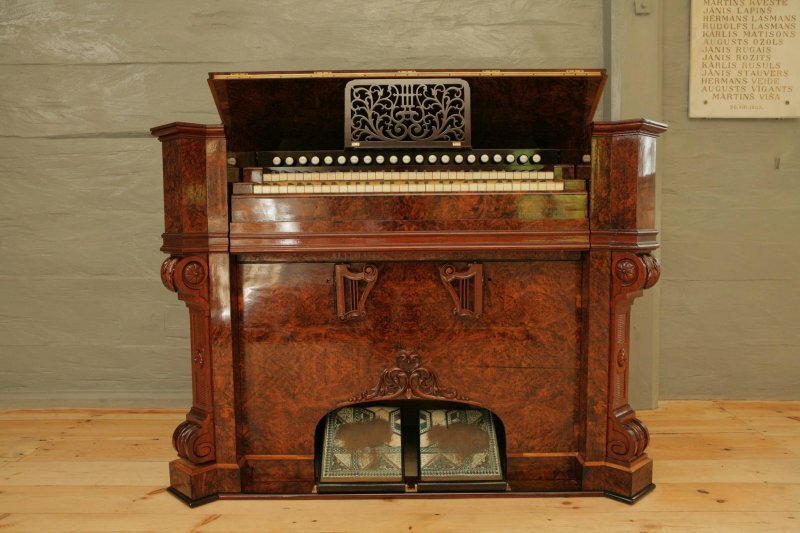 On the basis of the obtained results, within frame of the programme „Heritage-2018”, there was performed restoration. In the process of restoration there have been observed historical technologies and competence and skills of ancient craftsmen, for example, using birch bark as insulating material, making paint for facade from rye-flour paste by adding red ocher pigment. During the last year the church has experienced significant changes, visually stepping back into 260 years distant history. Now the church looks like the newly built – magnificent and elegant in its simplicity, ready to continue its life on the Church hill, providing shelter and place of meditation for local inhabitants and guests. 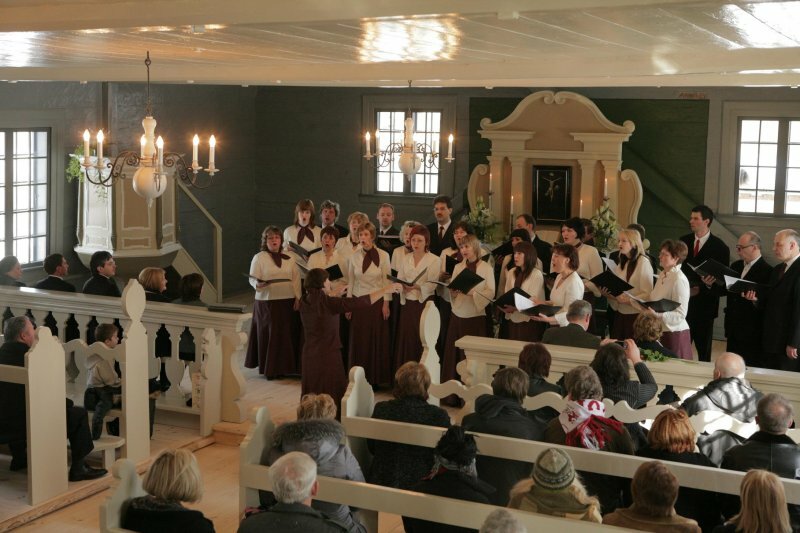 Exhibition reflects the history of Turaida Church and Congregation from 1750 until nowadays. 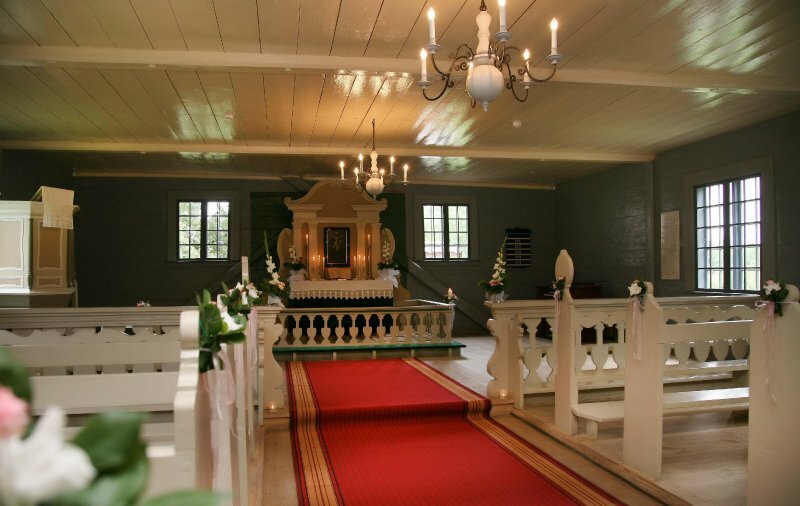 It tells about the building history of Turaida church, activity of Evangelical Lutheran Congregation, pastor`s contribution to education and preservation of cultural and historical heritage as well as about the significance of Christian traditions in the life of local inhabitants. The exhibition displays objects from the collection of Turaida Museum Reserve – ancient building materials, postcards, photographies, documents and books, written and translated by Turaida pastors. The exhibits were obtained during archaeological investigation of Turaida church, thematical expeditions, and received as donations from local inhabitants.